A tree is known by its fruit and not its size or leaves. For instance, you might not be able to differentiate between a plantain tree and a banana tree until the fruit is seen. You can call yourself by any name but it is what you produce that will tell us what you are. The tree has to be made good before it can produce good fruits. There is hope for those who are bad because by the grace of God, we can become good. Matthew 7:18-20: A good tree cannot bear bad fruit, nor can a bad tree bear good fruit. Every tree that does not bear good fruit is cut down and thrown into the fire. 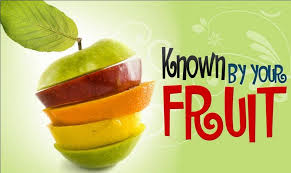 Therefore by their fruits you will know them. 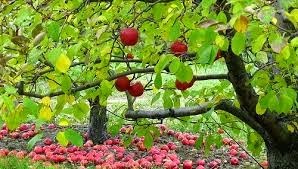 Luke 6:44: For every tree is known by its own fruit. For men do not gather figs from thorns, nor do they gather grapes from a bramble bush. Out of the abundance of the heart, the mouth speaks. If you spit out rottenness in form of words, it means only one thing: your heart is rotten. Some claim that what people can see outside of a christian does not matter. They believe that it’s their ‘self acclaimed’ heart righteousness that matters. It is actually impossible to have God dwelling on your inside and then act out evil. There is no way your heart will be in a circumcised state and fruits of uncircumcision will be seen to manifest on the outside. It is just IMPOSSIBLE. What do you then say of Matthew 5:16- Let your light so shine before men, that they may see your good works and glorify your Father in heaven. God wants our good works to be SEEN. It has to be evident. You don’t have to announce that your heart is full of good works. People will see these works because they are what they really are- WORKS. Good and bad preachers are known by their doctrines. The doctrines either agree with or disagree with The Word of God. A regenerated being will bear fruits of the Holy Spirit. I hope you know them: love, joy, peace, longsuffering, kindness, goodness, faithfulness, gentleness, self-control. Evaluate yourself, look yourself in the mirror of The Holy Spirit (note that I did not say your own spirit’s mirror because you could have the wrong judgement). Which fruits are your bearing? Fruits of the flesh or The fruit of The Holy Spirit?